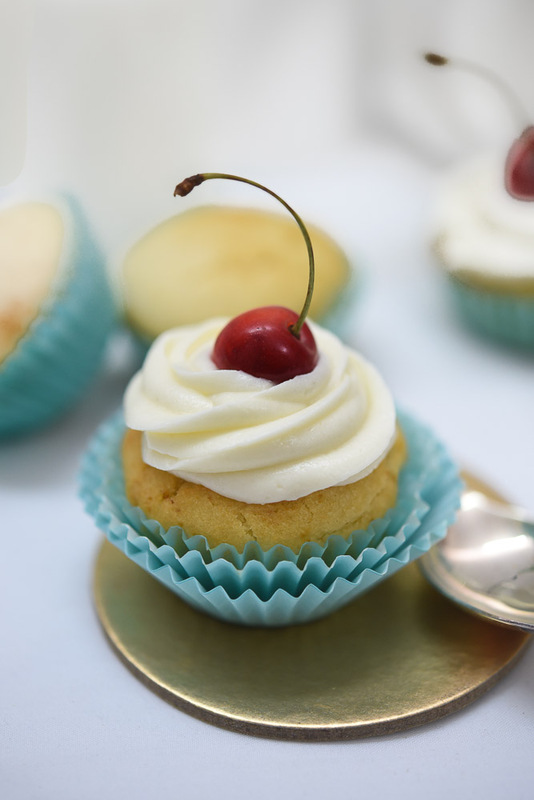 Have you tried baking and frosting cupcakes at home? If you are one of those, who think its a long complicated complex work? I have just a right recipe for you. 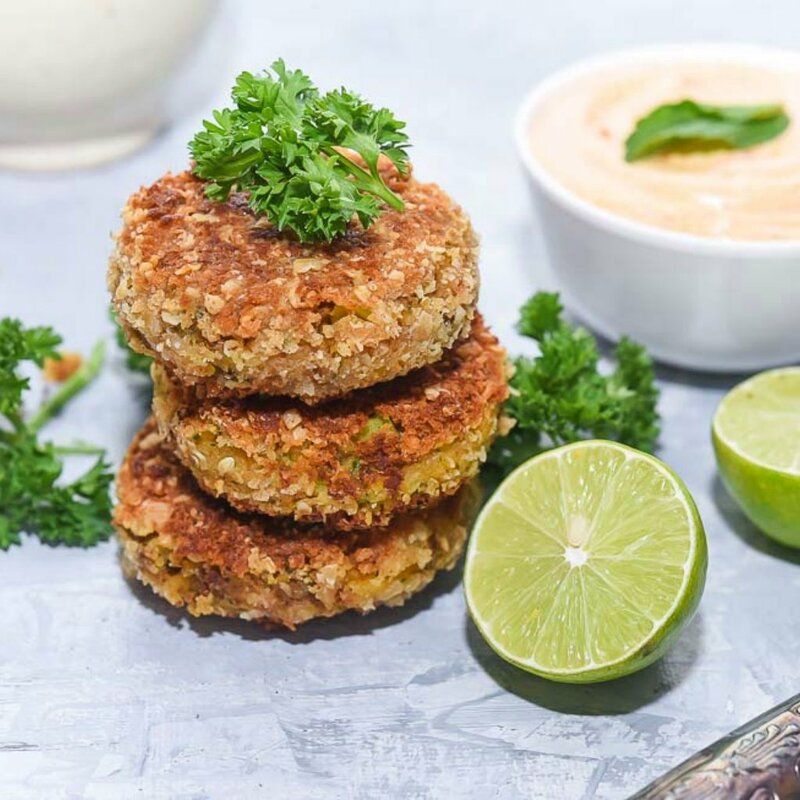 It’s egg free and easy to prepare and does not require any special ingredient. 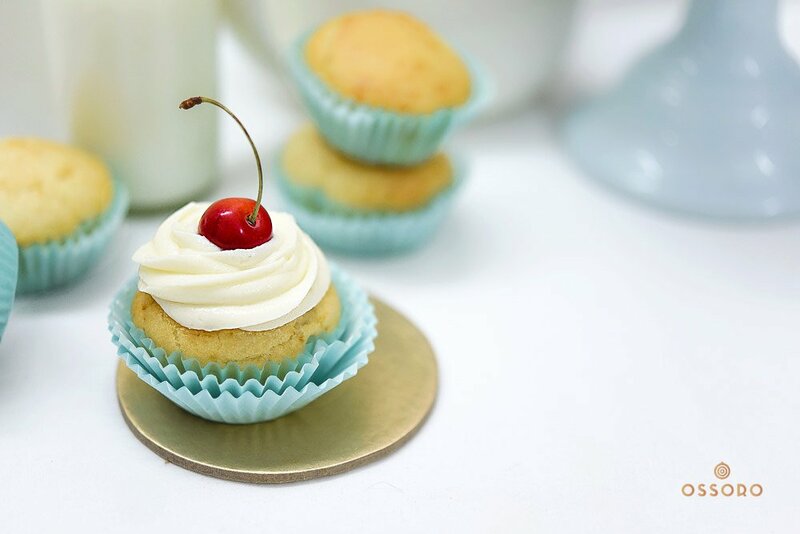 You will be able to bake these cupcakes with the staple ingredients present in your kitchen cabinet. When we use butter for making a cake batter, it obviously is tastier. Butter has a very particular rich and creamy aroma/scent and it adds a depth to the flavour in the baked goods. 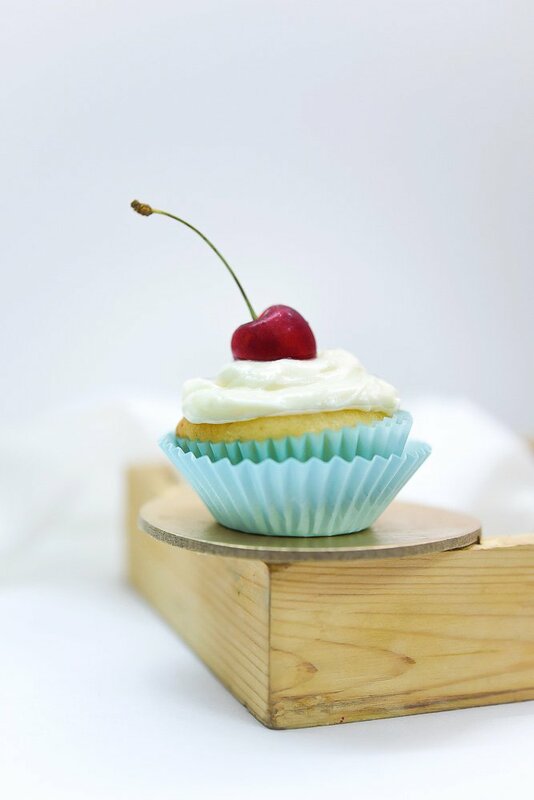 Now, we know that the frosted cakes or cupcakes are meant to be kept in the fridge due to the creamy frosted tops. If the cake/ cupcake batter is prepared using butter, they obviously tend to get harder when in the fridge. We end up losing that softness, as the butter present in the ingredients gets stiffer when in the fridge. We normally let them come to the room temperature before serving or indulging. To avoid all this, I prefer using oil instead of butter in the ingredient for frosted cake and cupcake. They remain soft, moist and never lose that bounce even when kept in the fridge for hours. 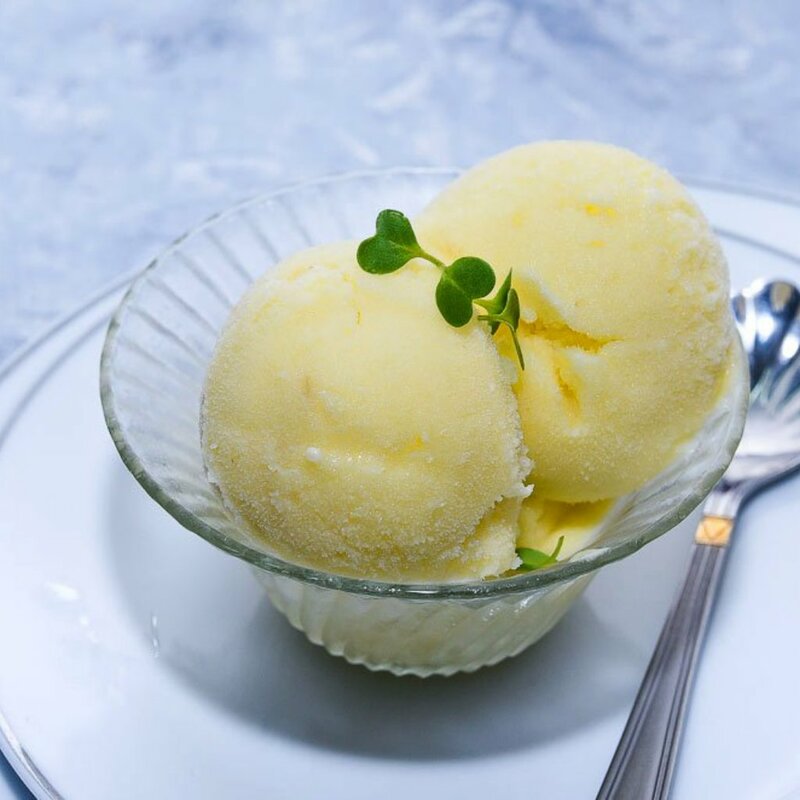 But, we end up compromising on that awesome buttery creamy flavours. As you know I have been developing recipes for Ossoro. 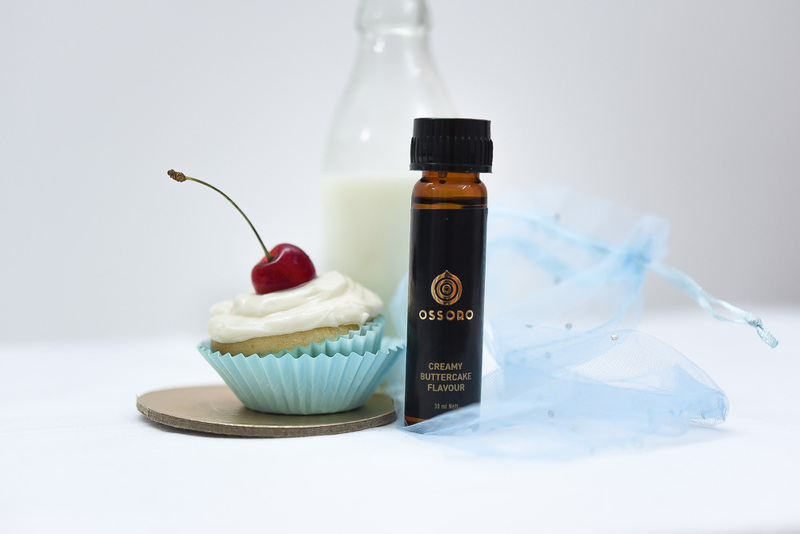 Ossoro is a brand that deals in curating food fragrances and aromas and sealing it in the bottles. Earlier they use to supply to big scale food producing companies, but today they want to reach to the home kitchen. They want to reach out to your kitchen and my kitchen. These guys have a huge-huge list of flavours available. You think of a flavour you find it with them. You can check them on Amazon as well as on their on the website. 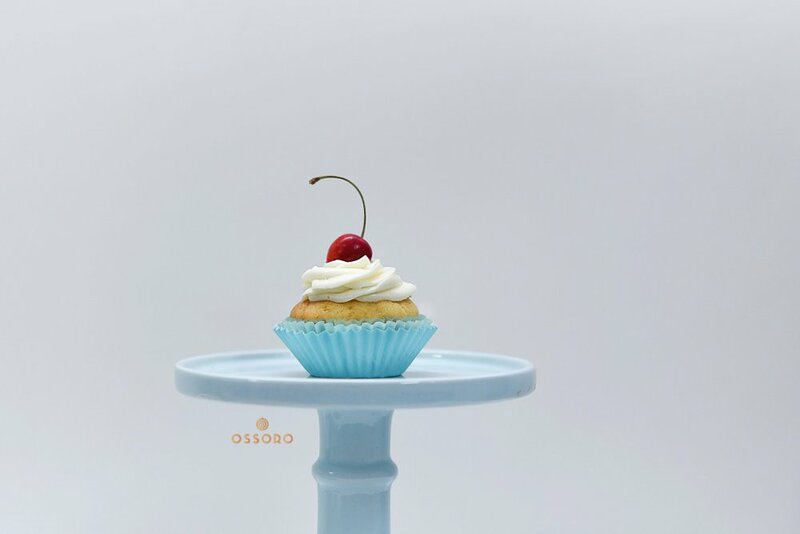 Getting back to our oil and butter cake batter talks – In that huge list of Ossoro flavours, I found buttercream flavour. As I opened the bottle, I felt that classic buttercream cake scent all around. 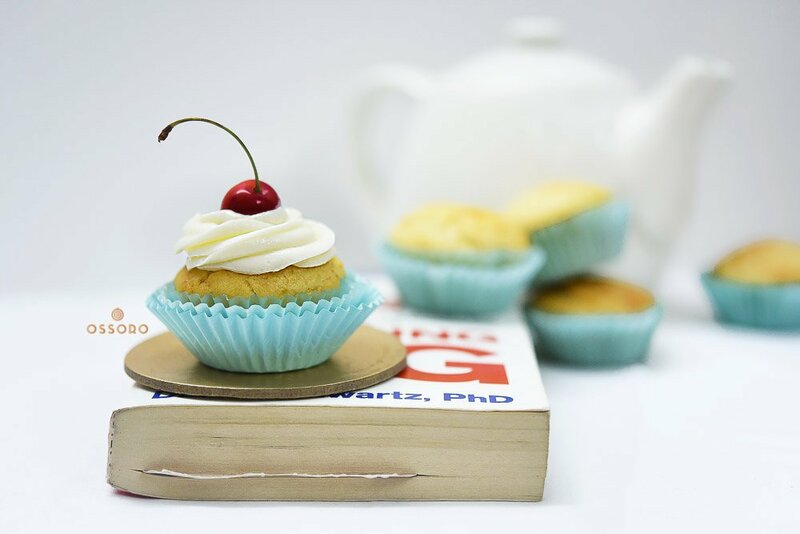 This bottle solved my problem, I baked these cute little cupcakes using oil and few drops of Ossoro buttercream gave me all that I was looking for in the flavours and aromas. 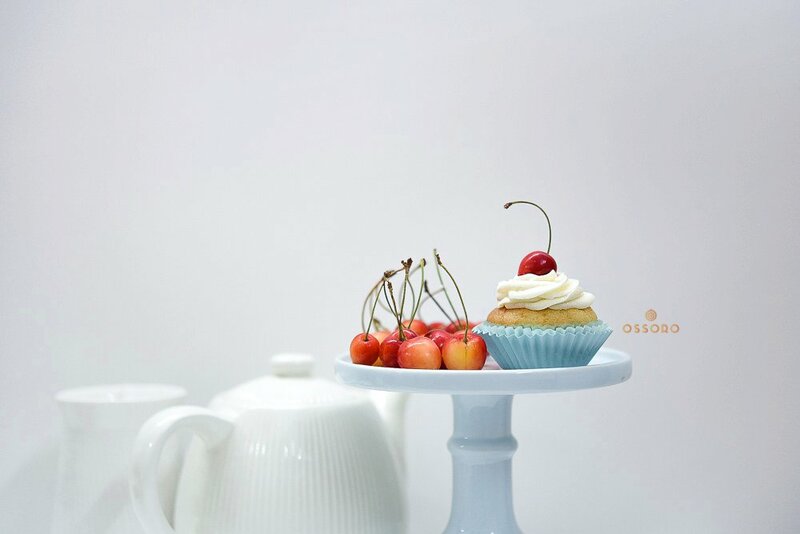 I wish I could make you taste this gorgeous cupcake. 1. Preheat the oven at 180* C and measure the ingredient accurately. 2. It’s a good idea to line a cupcake tray with paper liner. No mess! 3. We mix all the wet ingredients together as mentioned in the recipe below. There is a 1/4th cup of warm water in the ingredient list. Make sure its warm not boiling hot and not cold. 4. The dry ingredients need to to be shifted together before you add them to the wet ingredients. 5. 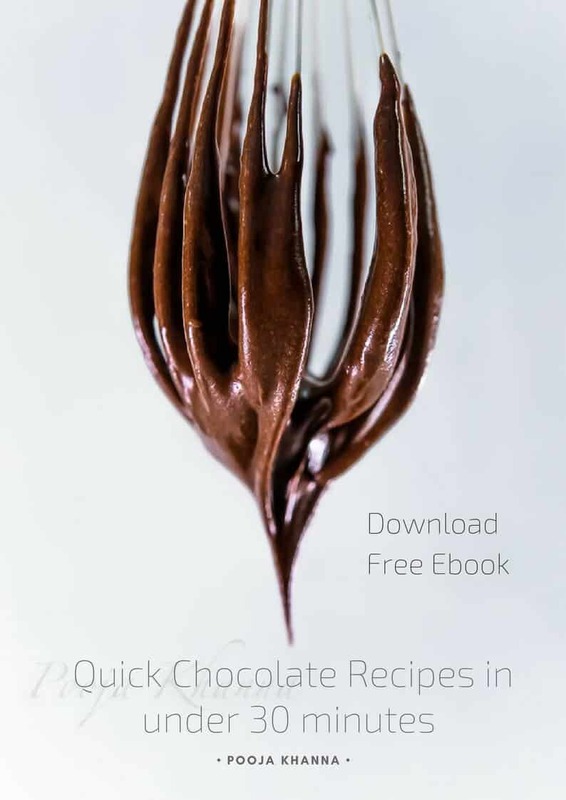 Use a rubber spatula for combining wet and dry ingredients together. 6. 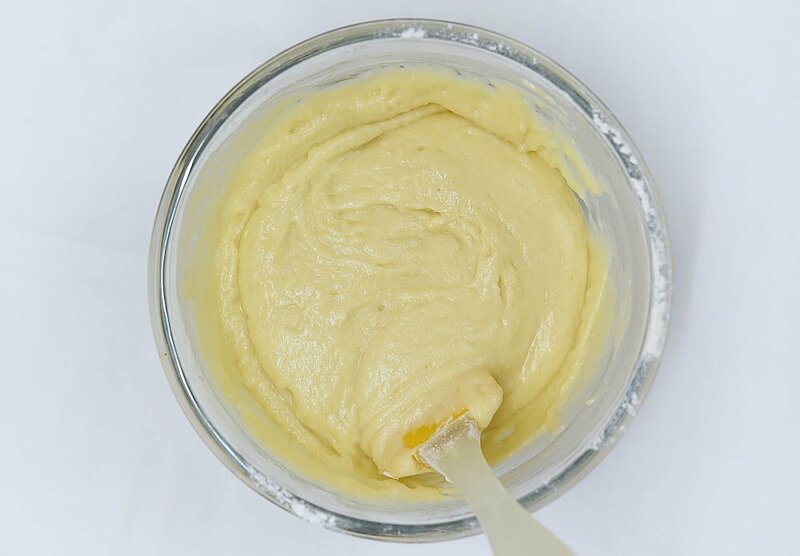 Once the basic batter is prepared, we add a tiny bit of baking soda to a spoon full of vinegar and as it starts to bubble, immediately mix it to the prepared cake batter. This will be a final step. 7. Use a spoon or an ice-cream scooper to pour the prepared batter into a paper cup lined, cupcake tray.Maxeon 100 Pcs Greaseproof Paper Cake Cups Liners Muffin Cake Cupcake Cases Fashion Baking Accessory Perfect Pricee Steel 6 Slot Cupcake Tray, Black Make sure all the cavities of the tray are filled with equal amount of the batter. 8. 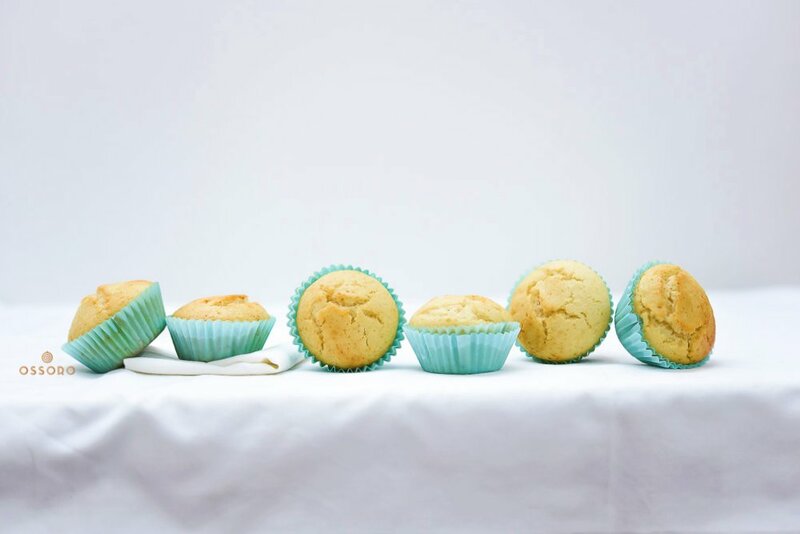 You will need to bake them for about 15-20 minutes at 180* C. After about 15 minutes check one of the cupcakes. Insert a toothpick in the centre of the cake and if it comes out clean your cakes are ready. Don’t over bake. 9. Once the cakes are done let them cool on a wire rack and wait for them to completely cool down before frosting them. 10. 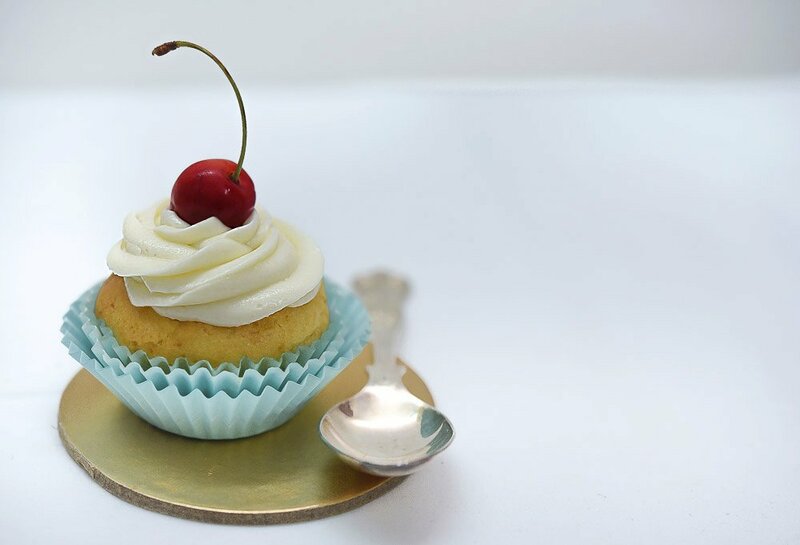 If the cupcake ends up with a fat dome on the top, use a knife to slightly flatten it up before frosting. 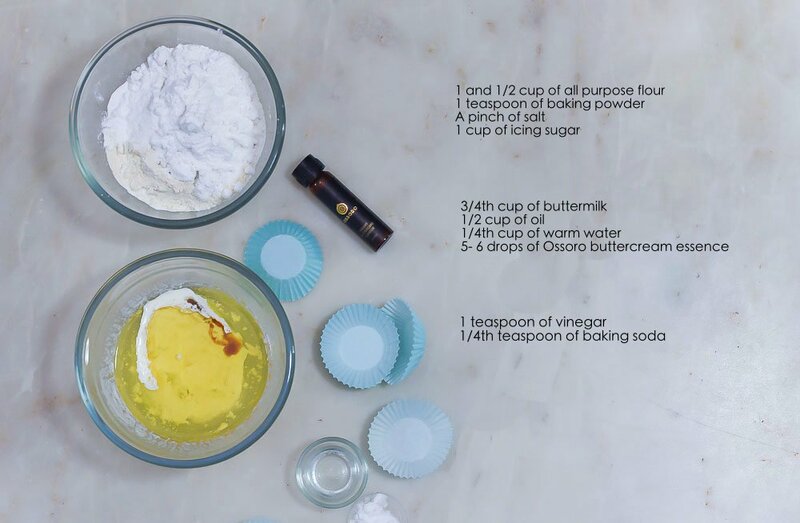 In a mixing bowl add buttermilk, oil, warm water, Ossoro buttercream essence. Mix all the ingredients well using a wire whisk. Sift in all purpose flour, baking powder, salt and icing sugar. Use a rubber spatula to mix all together. 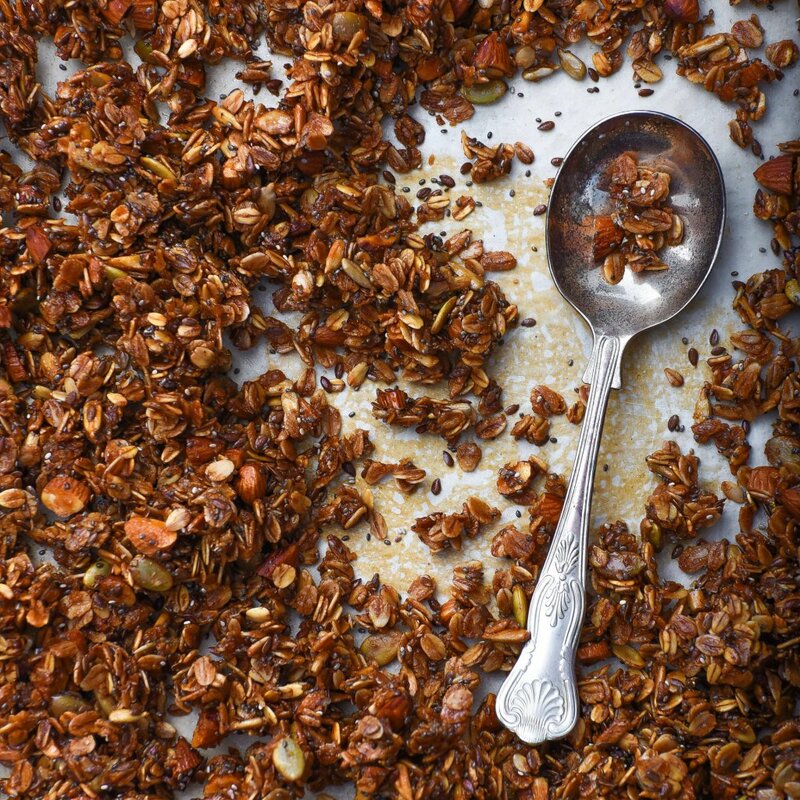 In a medium bowl mix together sifted sugar and butter with the help of an electric hand mixer. Stir in milk and Ossoro buttercream essence. Beat till smooth and spreadable consistency. Tip: If the frosting is thin and you feel cannot hold the shape when piped add in more icing sugar and beat again. If you feel that the frosting is too stiff to pipe add in a spoonful milk or cream till you get to the right consistency. 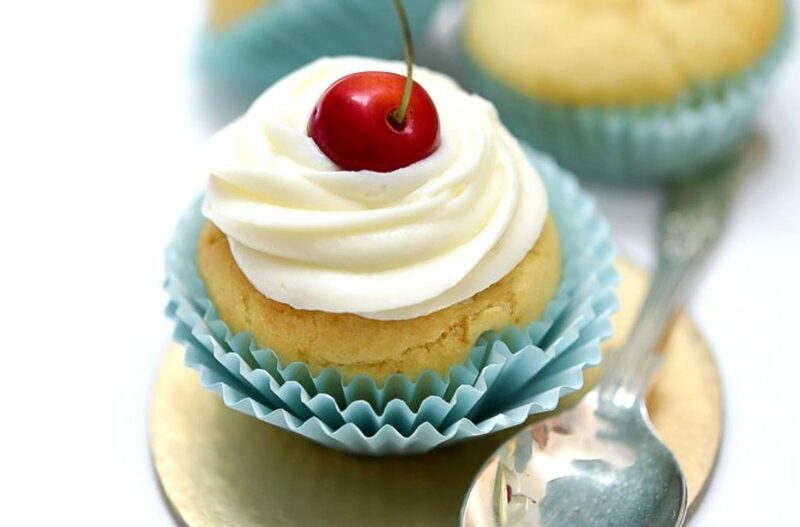 Once the cakes are cool enough, pipe the prepared frost on the top and place cherry to make it look more pretty. Enjoy with your kids. Happy Baking.